Top Rated Top Reviewed Dealership In Beaverton, Or. 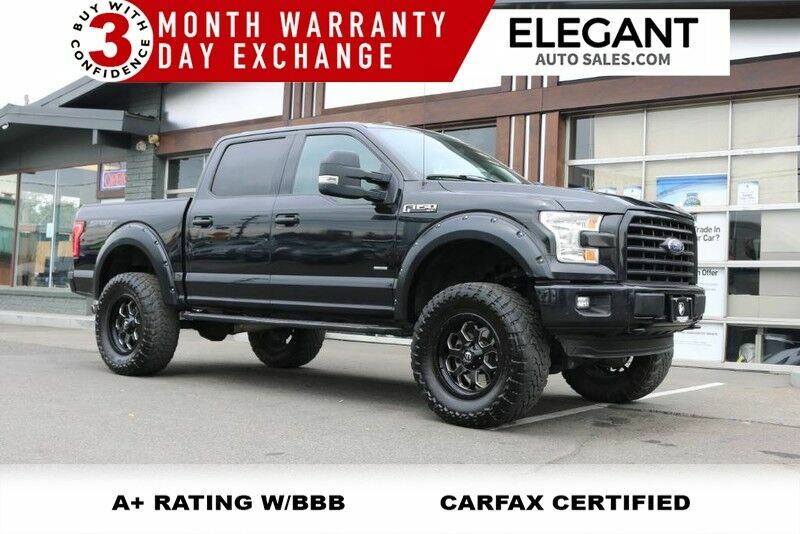 2015 Ford F-150 XLT 4x4 - EcoBoost, FabTech Lift Kit, 20' Fuel Wheels, Toyo 37's, Keyless Entry, All Power Options, Automatic Headlights, Power Seats, Power Adjustable Pedals, Touch screen AM/FM/CD/SAT Stereo W/ Aux & USB Inputs, Bluetooth Handsfree, Steering Wheel Mounted Audio Controls, Backup Camera, Power Sliding Rear Window, Panoramic Moonroof, Power Heated Tow Mirrors, Running Boards, Tow Package, Bedliner, Fog Lights. Clean Carfax - No Accidents...Buy With Confidence - 3 Month Powertrain Warranty & 3 Day Exchange.